The Lumidigm brand is one of the most powerful biometric readers on the market. With the ability to capture subdermal images and monitor blood flow through the fingerprint image, the Lumidigm brand ensures the most reliable live capture image possible. SecuGen is one of the most trusted and cost-effective biometric reader brands available today. The DoD, DHS, NASA, as well as many other federal agencies have discovered that the SecuGen reader is a great option for capturing fingerprint images for a wide range of security applications. SecuGen is also a great option for integration projects, where a biometric sensor is required as a hardware component of another application. Examples include door access readers or a vending machine. The Identos Tactivo reader for iPhone and iPad still lead the mobile smart card reader industry used by the Federal Government today. However, the average government employee is not using the built in Tactivo fingerprint sensor for these units. Did you know you can program the Tactivo to use fingerprint as a second factor authentication method for enterprise security logon? For more information on how to purchase any of these biometric readers or work with one of their SDKs, please contact us. As the world becomes increasingly connected through our mobile devices and the Internet of Things, cyber security is increasingly a top concern for organizations. Bluetooth® Low Energy (BLE) is one of the most popular wireless technologies being leveraged for many applications including security. One of the newest Bluetooth® authentication products is from HID Global the industry leader in physical and cyber security. The HID ActivID BlueTrust Token is a Bluetooth®-enabled one-time password (OTP) token that delivers secure One Click authentication automatically to the computer or mobile device via BLE. Use cases include secure login to workstations and laptops, web-based cloud applications or VPN gateways. HID has been at the forefront of mobile technology with all their new door readers coming Bluetooth ready for their SEOS Mobile Access credentials. Companies like HID Global and Advanced Card Systems (ACS) have released Bluetooth®- enabled smart card readers like the ACS ACR3901U-S1 and ACR1255U-J1 NFC Secure Bluetooth® Contact and NFC Smart Card Readers that combine the latest smart card reader technology with Bluetooth® Smart connectivity. HID’s ActivID BlueTrust Token is designed to facilitate on-the-go smart card and NFC applications. It combines the latest 13.56 MHz contactless technology with Bluetooth® Smart connectivity. This compact and wireless smart card reader brings together sophisticated technology to meet requirements of various smart card-based applications. It is intended for use with most Bluetooth®-enabled devices on the market, such as smart phones and tablets. Elatec has taken an interesting yet effective approach to external printer readers with its new 360 degree TWN4 USB Front reader. This reader integrates RFID (125 kHz, 134.2 kHz, and 13.56 MHz), NFC, and Bluetooth Low energy capabilities into a single, powerful reader and can be easily connected via USB connection. Multi-frequency reader / writer for 125 kHz, 134.2 kHz, and 13.56 MHz tags/ and or labels. Supports all major transponders and ISO standards like ISO14443A/B (T=CL), ISO15693, ISO18092 / ECMA-340 (NFC). Can be used for direct connection to printer. Perfect reader for other various applications as well such as alternative print solutions, healthcare applications, and single sign-on. RFIDeas has recently released their pcProx Plus BLE reader with Bluetooth low energy technology. This reader allows users to leverage either their proximity or contactless employee ID badges, or any 125 kHz or 13.56 MHz tags or labels, for secure authentication and identification throughout the workplace. Card Reader and Bluetooth low Energy all in one. pcProx BLE can be configured to utilize Bluetooth low energy beaconing to serve a wide variety of applications such as in-building location, secure authentication, and even item tracking. Another recent cutting edge reader from RFIDeas is the pcProx Plus SP, used for embedded, integrated, and desktop or external mount applications. The small, thin form factor enables various embedded and integrated applications or OEM installations in recessed compartments, as well as external mounting configurations. The pcProx Plus SP is also compatible with a variety of purpose-built devices such as time clocks, kiosks, or protective enclosures. For more information on these readers and Tx Systems, please fill out this form below and we will be happy to further discuss. As of January 1st, 2018, Identos GmbH has acquired and taken over all production and management operations of the Tactivo Mobile Smart Card Solutions line previously owned and operated by Precise Biometrics. The first Tactivo model released under the Identos name is the Tactivo Mobile Smart Card Reader for iPhone 7 & 8. Its sleek design and snug fit makes it the perfect Smart Card Reader Case for anyone looking for a high level of security with the convenience of a mobile smart card reader. Tactivo readers can be used for a wide range of applications found in many industries such as healthcare, government, military, and enterprise business. The reader uses multi-factor authentication by combining smartcard verification and a PIN code in order to provide secure access to resources from a mobile device. It allows the user the peace of mind knowing they can access all of their smartcard-required mobile resources, with the convenient use of their mobile device. The new model being nearly identical to the Tactivo for iPhone 6/6s, will allow for a seamless upgrade to the new iPhone 7/8 version. As of today, there have been tens of thousands Tactivo Smart Card Readers Cases purchased by US Federal Government agencies including military and civilian accessing OWA emails, NKO, AKO, AF portals and sharepoint sites, as well as countless other non-government entities. With the use of these mobile reader cases, Identos is enabling the DoD to accomplish mission critical tasks that increase workforce mobility, without sacrificing security. If you are interested in the Tactvio for iPhone 7/8 and would like further information please fill out the contact form below. The National Institute of Standards and Technology (NIST) released Special Publication 800-171 pertaining to all DoD and Federal contractors with access to Controlled Unclassified Information (CUI). The publication encompasses the protection of sensitive federal information and (CUI) in nonfederal information systems and organizations. The Defense Federal Acquisition Regulation Supplement (DFARS) set the deadline of the NIST 800-171 compliance by December 31st 2017. Tx Systems provides Identity, Authentication and Access Control solutions that are sufficient with NIST SP 800-171 to the highest level of Federal Government standards. 3.5.1 Identify information system users, processes acting on behalf of users, or devices. 3.5.2 Authenticate (or verify) the identities of those users, processes, or devices, as a prerequisite to allowing access to organizational information systems. 3.5.3 Use multifactor authentication for local and network access to privileged accounts and for network access to non-privileged accounts. In order to satisfy the multi factor authentication and logical access requirements, organizations can implement HID’s ActivID CMS for Windows Logon, Email Encryption and Digital Signing of Documents. Millions of DoD and Federal employees use ActivID CMS which satisfies a multitude of the basic and derived security requirements. More information regarding the specific requirements for the different information types can be found in the NIST publication. Tx Systems offers a variety of security solutions that can help your company meet those requirements. Contact us at through txsystems.com or send us an email at sales@txsystems.com to learn more. HID Global has announced the release of their latest security solution for Identity and Access Management called HID Approve. As a Value Add Distributor for HID Global, Tx Systems is currently supporting the HID Approve solution in all stages from pre-sales support and qualification to final deployment and ongoing maintenance/support. 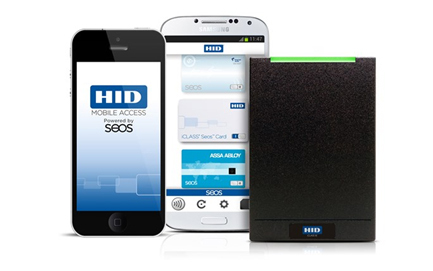 HID Approve is a next generation mobile two-factor authentication solution that leverages Push Notifications on all mobile platforms to either Approve or Deny login requests from any number of authentication portals. Whether you are a banking institution wanting to increase login security of your customers, or an enterprise looking to secure network authentication from both inside and outside of the firewall, HID Approve is a fantastic choice to increase identity assurance with a sleek user experience and a friction-less deployment process. HID Approve is powered by the HID Authentication Server which can be deployed as either a hardware or virtual appliance. When the Authentication Server is in place, users simply download the HID Approve app on either Android or iOS and register the app using their user credentials which will link them to the organization’s authentication server. The registration process is made simpler by allowing the user to scan a QR code on the organization’s login screen to connect their device to their existing account. With just a few simple steps, a user can be enrolled into the system and using the HID Approve solution for added logon security. This solution is also extremely customizable in its aesthetic capabilities. Made with corporate branding in mind, HID Approve allows companies to change the look of the app to include corporate colors and company logos within the app to make it look like an in-house solution. For more information on how HID Approve can increase your authentication security and company profile, please contact us. The Problem: Organizations need to manage identities and control access across a multitude of systems and sites for employees, contractors, service providers and visitors with varying access needs. Trying to on/off- board these individuals with unique security requirements, and provision/de-provision their credentials, becomes a resource-exhausting process with a high degree of risk from human error. The Solution: SAFE PIAM is a web-based solution automating everything from HR-LDAP on/off-boarding to credential provisioning for access control, security compliance and audit initiatives. Quantum Secure’s SAFE software suite provides a single, fully inter-operable and integrated physical security policy platform to manage secure identities, compliance and operational analytics across multiple sites and systems. This is accomplished through SAFE’s policy engine which authorizes levels of access based on criteria’s such as certifications, training, clearance and more that are continuously updated in real-time. SAFE accomplishes risk management with their best practices by authorizing only the lowest level of access an individual needs to accomplish their duties. Quantum Secure, part of HID Global integrates with credential management systems like ActivID CMS and IDMS. Quantum Secure automatically provisions or revokes digital certificates to ensure synchronized and policy-based on/off-boarding of individuals and their physical access. SAFE is a unique solution for organizations and government agencies that need a high level of security and compliance across their operations. SAFE is fully compliant with regulations pertinent to your business such as NERC-CIP, HIPAA, FICAM, BASEL-II, CFATS and SP 800-171. Tx Systems is on Facebook!